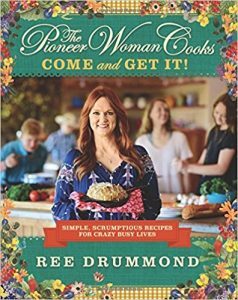 On Amazon right now you can get the awesome cookbook The Pioneer Woman Cooks: Come and Get It! : Simple, Scrumptious Recipes for Crazy Busy Lives for just $17.87 – a 40% savings! This will ship free with Amazon Prime or a $25 book order.